Here at Disney Parks, we’re always looking for new ways to make attractions and experiences more accessible and enjoyable for everyone. Today, I got a sneak peek at a first-of-its-kind technology that will change the way some guests with disabilities experience Disney parks. 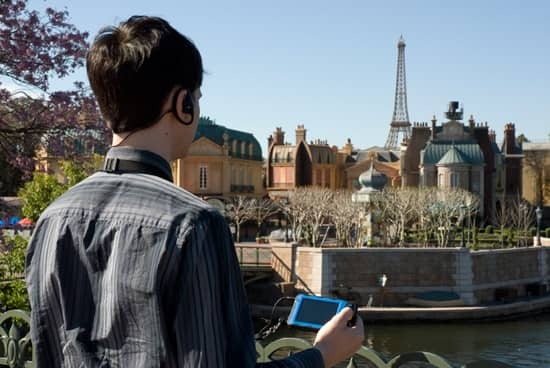 Disney engineers have plussed up their Assistive Technology Device to provide detailed descriptions of outdoor areas for visually impaired guests. Using an interactive audio menu, guests can choose the type of information they’d like to receive, from architectural elements to the location of the nearest restroom. It works using wireless technology to pinpoint its location and take pre-programmed actions. Best of all, it fits in the palm of your hand. The Disney engineers I talked to reminded me that the device already combines many other features, including detailed audio description for more than 50 attractions; amplified audio for guests with mild to moderate hearing loss; handheld captioning that lets guests read captions while enjoying specific rides; and activation of closed captioning on television displays in pre-show areas. 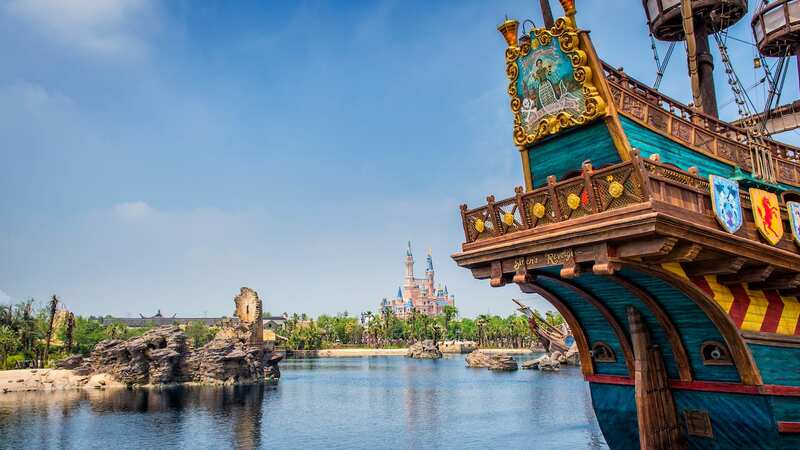 Disney has already patented and licensed the technology for the handheld device, which could serve a wide variety of retail, commercial and industrial applications. And industry insiders and techies are already taking notice. The National Society of Professional Engineers just lauded the device as the new product of the year. 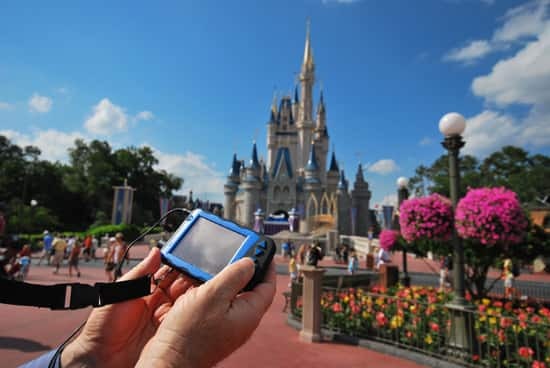 The Handheld Assistive Technology Device will be available starting June 27 for guests at Walt Disney World Resort and in 2011 in Disneyland Resort, for no additional cost. Now we need the videos on this blog to be captioned so everyone can enjoy them! when we went to Disneyland last October, my husband who is deaf used this device. It was amazing. He was so thrilled to be able to know what was being said on the rides & many other attractions!!! Thank you for bringing this device to the park & making my husbands experience so wonderful!!! My sister is legally blind and her bigest problem in the park is navigation. Since the new device is location based, it would be great if it could give directions to things other than restrooms like rides or the park exit. Awesome. What a great, novel way to expand on this system. When will audio descriptions become available at the above attractions? As someone married to a low vision survivor, this is an incredible instrument to help bring the magic of the theme parks to people who don’t have the ability to appreciate it as most other people do. I am thrilled this technology is available to theme park guests! I was there August 2009 with my family, being blind the ones that they had then worked sometimes, I am going in 2011 for the 40th Anniversary so I hope they work. Thank you Disney for providing these services to guests with disabilities. My son is visually impaired and while his vision is currently ok (which is why we are coming this year), there may be a time in his future that he would benefit from this device and those which I am sure will be developed in the future. This will be wonderful for people with autism who benefit from extra explanations about their surroundings. My daughter understands auditory input better when she can also see what is is that’s being spoken. This is a great way to allow equal access for all guests. My fiancé and I had a chance to use this technology in all the parks when we got engaged ad WDW last year. There were several occasions where the device didn’t communicate with the sensors for captioning on several rides. I hope with this new update those bugs will be worked out. Overall we were very impressed with how the assistive technology and ASL interpreters made our visit enjoyable and easy!